I was born in Vietnam, raised in Pennsylvania, and working remotely in San Francisco (and the 🌎). I’m a 24 year old College Dropout, Entrepreneur, Startup Advisor, Investor, Public Speaker, and Aspiring Philanthropist. I believe that we’re all powerful spiritual beings that are having a human experience so let’s leave this earth better than we found it. I’m super interested in the intersection of helping people maximize their potentials through purposeful entrepreneurship, biohacking, and consciousness (if I would start another technology startup, it’ll be in this intersection). I’m currently serving as the Interim VP of Product at CARFIT to help them build the most efficient transportation system in the world using artificial intelligence, vibration data, and predictive maintenance. I joined CARFIT because I’ve advised and known the founders for the past 4 years and I’m really excited about what they’re building. It also allows me to play in my zone of excellence since I’m a proven leader in product management with a unique ability to align product, marketing, and sales teams under one narrative to help startups achieve product-market fit. Prior to joining CARFIT, I was the former CEO at Sleeker (acquired 2019), a CRM for Auto Shops. At Sleeker, I led a team of engineers from across the world, scaled our go to market and sales to the top auto shops in the Pacific Northwest, and raised venture capital from automotive industry experts and Jaguar Land Rover (TATA Motors). 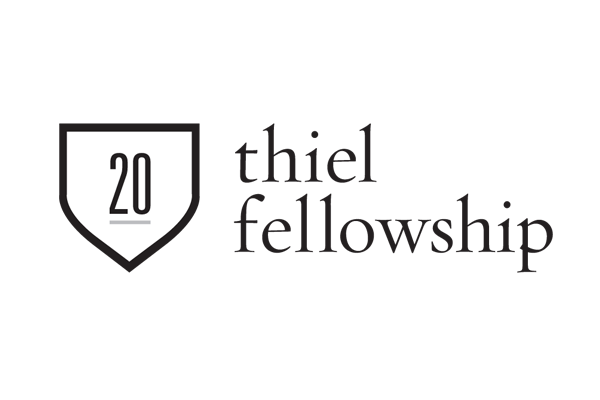 In 2017, I received a $100,000 grant from the Thiel Fellowship. "The Thiel Fellowship was founded by Paypal Co-founder and first Facebook investor, Peter Thiel, for college dropouts under the age of 23. To date, companies created by Thiel Fellows are worth more than $2 billion combined (not including Thiel fellow-created Ethereum, a computing network with a cryptocurrency market cap of $30 billion as of June 16)." I was also an Entrepreneur in Residence at Jaguar Land Rover. "Jaguar Land Rover is investing more than ever before in new technologies, skills, and facilities. Our innovation is continuous. The car of the future will become more capable, cleaner, more connected, more desirable and smarter. Our Incubator — part of our Open Source Technology Center — advances innovation for the entire automotive industry." All of this started when I was in college - my car broke down and it took me a really long time to call for a tow truck. My Fraternity Brother and I (go Pikes!) decided to build an app to help stranded motorists. Before dropping out, I was in my junior year at Embry Riddle while studying aerospace engineering with a scholarship from the US Navy. That’s about it for now. If you want to hear more, feel free to drop me a line in the form below! I know this bio sounds nice and all but don’t forget that like many entrepreneurs, I’ve had many health scares, sleepless nights, tough decisions, backstabbers, and failed businesses. Happy to share my many learnings with you so don’t be afraid to ask.